Persona 2: Eternal Punishment has been released on PlayStation Network, and the JRPG world is still recovering from the shock. One of the most sought after and rare games on the console is now available at the touch of a button for a mere $10. Fortunately for this lost classic, the series saw a resurgence over the last few years thanks to Atlus stepping up their game or else we might have never seen this one get a long overdue second chance on the market. What about those poor souls who might never get a second chance? With Nintendo poised to reclaim the genre Sony stole from them back in the first PlayStation days and the future of JRPGs on HD consoles way up in the air at the moment, Sony might have to turn to nostalgia to keep their ever loosening grip on Japan’s most popular video game pastime. Naturally, one can only lean on the reputation of Final Fantasy VII so much, as Square Enix has learned over the years. Here are a few other smaller releases from the heyday of the genre which could be used to salvage its sullied reputation and remind us that console JRPGs can be good with the right personnel behind them. While the rest of the world was busy trying to emulate Final Fantasy VII‘s polygon success, one team used the power of the PlayStation to create the culmination of everything that was great about the most popular SNES classics. 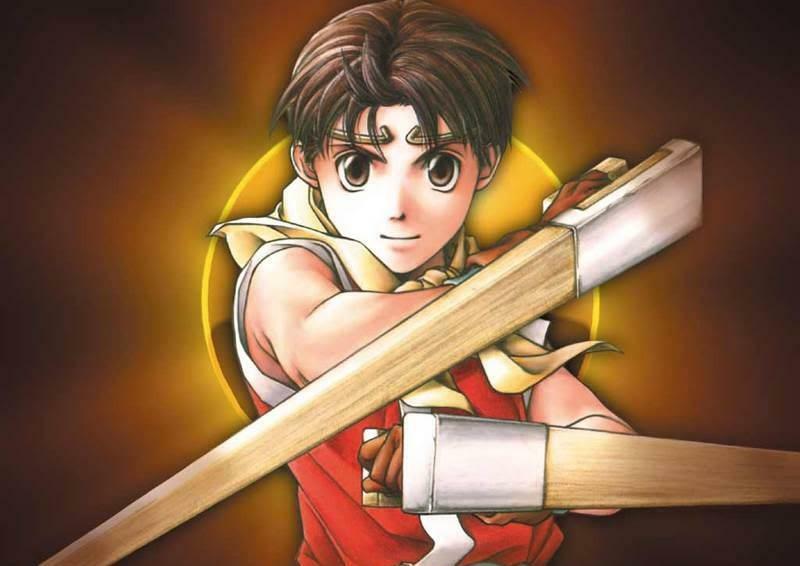 Konami stuck to its guns and delivered one of the most refined and complete JRPG experiences ever, Suikoden II. 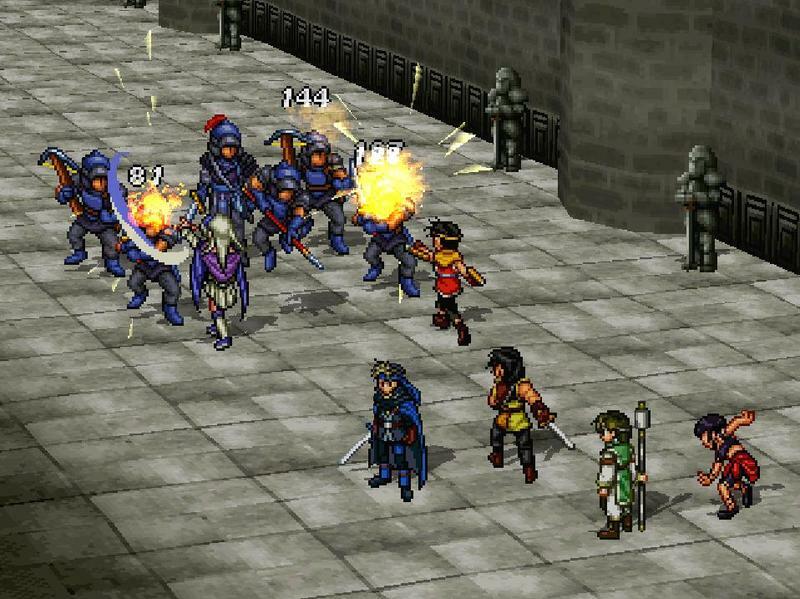 Excellent sprite-work backed with a mature and deep storyline, beaming with colorful, loveable characters, Suikoden II is one of the few 60 hour JRPGs which actually delivers 60 hours of content. Whereas most JRPGs tend to drown themselves in excessive content or stretch their playtime through meaningless grinding, Suikoden II nails that perfect balance even the legendary Final Fantasy VI and Chrono Trigger had missed by a hair. There is never a dull minute in this perfectly paced masterpiece. Prognosis: Most have pointed to a substandard localization for Konami’s reasoning for holding this one back, although I never had a problem understanding the story as a kid. It’s not half as crippling as the internet believes it to be. Because Sony doesn’t allow developers to hack or change the original ROM, it’s very unlikely this one will see a release, especially since Konami seemingly has no intention to return to this glorious series. It’s a shame too because very few games are able to hit the peaks Suikoden II does. Those curious can at least check out the first Suikoden game on the PSN, which comes close to the balance Suikoden II is well known for, but also is only 10 hours long. Consider it an extended demo for one of the few games actually worth the ridiculous eBay prices. Jumping from staunch traditionalism to the more experimental, Saga Frontier is a prime example of PlayStation developers using the new processing power to create off the wall ideas rather than reinforce the tried and true. This game enjoys an extremely polarizing reputation thanks to its scenario structure, which uses the same interconnected universe to tell seven intertwining stories. 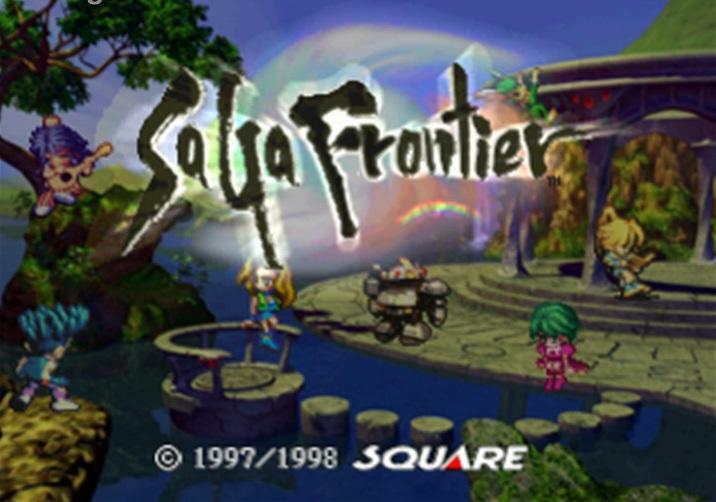 Each of Saga Frontier‘s seven protagonists comes fully equipped with their own scenario specific locations, allies, and 20 hour storylines, but many of gamers’ negative notions towards Saga Frontier focus on the problem that these unique events make up a rather small portion of the game. With the highs come the lows, and with the exceptional unique dungeons to each character come the repetitious and tiresome side-quests needed to power up the cast each time you play. Not me, though. I revel in Saga Frontier‘s fearless battle system, which randomly has characters combine any attacks or learn skills on the fly for no reason. Even more-so than the battle system, Saga Frontier gives plenty of chances to experiment and create a perfect team of your favorite characters thanks to its strangely open-ended nature. Prognosis: I don’t think Square Enix has any interest in jumping back into the Saga series any time soon. All of their non-Final Fantasy and Dragon Quest series have been squandered beyond recognition over the years. Still, I’ve never seen Square Enix turn down the chance to exploit the nostalgia their name creates, meaning Saga Frontier might still have half a chance down the road. Believe it or not, but Tri-Ace used to be a highly regarded JRPG developer. The modern HD consoles might not have agreed with their dinosauric approach to game design, but the 32-bit power of the PlayStation suited their needs better than any other console as seen in their most notable games Valkyrie Profile and this science fiction gem which far exceeds the boundaries of its lackluster series. Star Ocean: The Second Story succeeds in the almost impossible task of making the action heavy “Tales” battle system actually work. Flashy combos mean nothing if they take a minute to complete, and even the weakest of enemies can walk away from such a violent thrashing. Star Ocean: The Second Story‘s approach is a little more subtle. It replaces endless wailing on an enemy with well placed and timed shots when each hit matters and every combo needs to be placed just right in the context of each battle. This game was released before mindless button mashing took over its little JRPG subgenre, and it still holds up to this day by surviving on the basics alone. It does fall into the same trap a lot of Tri-Ace games find themselves stuck in. Too much content thanks to a cumbersome item creation system, difficult alternate endings, and dreadful pacing. Seriously, the first three to four hours of this game are torturous. However, none of the above is required to complete the game, and taken at the surface level, Star Ocean: The Second Story is worth it. Prognosis: Both Valkyrie Profile and Star Ocean: The Second Story were released on physical discs for the PSP. Final Fantasy Tactics was given both treatments, but I highly doubt that Square Enix would be willing to give two separate releases on this far less popular title. Many third-party companies have stepped up for Sony over the years to take Nintendo to town with their own branded “Zelda killers.” And many have walked away with their heads held in shame. In the fifth generation of consoles, this unfortunate task was given to Square. It was charged with knocking down Ocarina of Time a peg or two. Yeah, not gonna happen right? Don’t be too quick to judge, because the result is actually a quality game. Essentially a polygon based isometric Link to the Past clone at heart, Brave Fencer Musashi has plenty of charm and excitement for make up for is lack of originality. The legendary swordsman Musashi is hardly the samurai hero history might remember him to be, but this spunky little twerp’s quest to save the Allucaneet Kingdom has it where it counts. 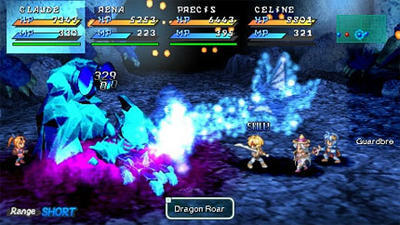 Dungeons are expansive and challenging, each of them culminating in explosive boss fights more exciting than the last. Each dungeon unlocks a treasure, and even each enemy in the game has an ability Musashi can steal on the fly, not unlike Kirby. 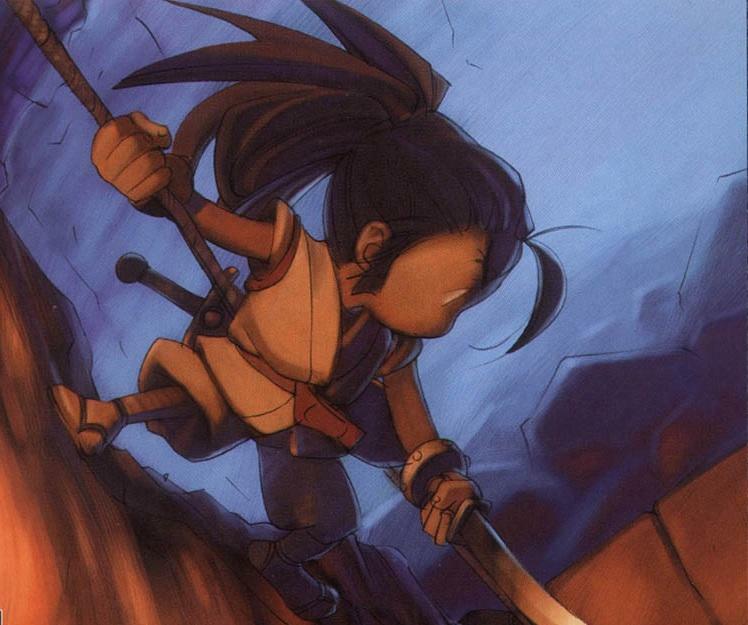 Brave Fencer Musashi also exceeds in its ability to push gamers into completing 100% of its content. It’s well within a reasonable level of achievement, and each rescued NPC and treasure chest unlocks useful bonuses. Prognosis: I’m surprised we haven’t seen this one yet. Square Enix tried as hard as they could to destroy the franchise with one of the worst sequels ever created, Samurai Legend Musashi, but I know for a fact that Brave Fencer Musashi was more popular than Threads of Fate, a similarly styled action RPG available on PSN right now. Hopefully Square Enix comes around and delivers this one soon. 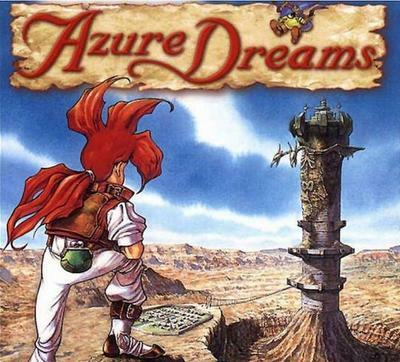 More of a personal favorite than a well respected classic, Azure Dreams is a crazy mishmash of all the worst JRPG tropes smashed into a single minimalist game. Yet somehow, this thing works. A majority of this game can be best described as a rogue-like. Our red-headed hero is charged with climbing to the top floor of a 30 story tower, but levels are randomly generated and set to a grid where each movement counts as a universal turn for the entire floor. Should he die in the tower, and die he will, then it’s back to square one to try all over again. Of course, such a simple premise has no meaning if no progress is ever made, so Konami jam-packed this game with date simulating, treasure hunting, city building, and even monster raising. Each of these alternative goals makes the hero a little stronger, especially the monster raising, and each attempt at the tower pushes him a little higher and higher. Never mind that the game’s randomization might not grant you a Wind Crystal when you need one most, or that the the ear grinding sound loop playing in the tower’s background might drive you to insanity after hearing it so many times. Azure Dreams is a strange little game that has no right to be any fun, and yet fun it is. Prognosis: Highly unlikely. Konami used to be a solid player in the JRPG world between Suikoden, Azure Dreams, and Vandal Hearts, but they’ve all but given up on that image. I doubt anyone at Konami still remembers this one exists, let alone be considering a PSN release.